Their latest job comes in. It is a call from an Agent Gemma, a British spy. She is an MI6 and she needs help stopping a hacker form controlling a satellite. They arrive at the job. Gemma is bossy and demands to be in charge. Walt follows the signal of the hacker to an upstairs room. They bust in. The hacker runs. They track him down in a nearby bathroom. Cabe and MI6 have him cornered. He flushes the fob that controls the satellite. Happy and the others come in. Happy thinks quick after Cabe tells her what has happened. She flushes an Atta boy keychain of Toby’s down the toilet. They can track the fob through the keychain. Cabe takes the hacker away for a talk. Happy and Sly start trying to track what pipe the fob went down. Meanwhile, Walt, Paige, and MI6 open up the pipe. The fob slipped further down into another pipe while the keychain got stuck. Happy tells Paige she wants it back. It was a gift she bought for Toby. Paige is disgusted as she retrieves it. Toby tries the gentle way of talking with the hacker. Cabe has had it. Toby tells him not to beat the truth out of him. 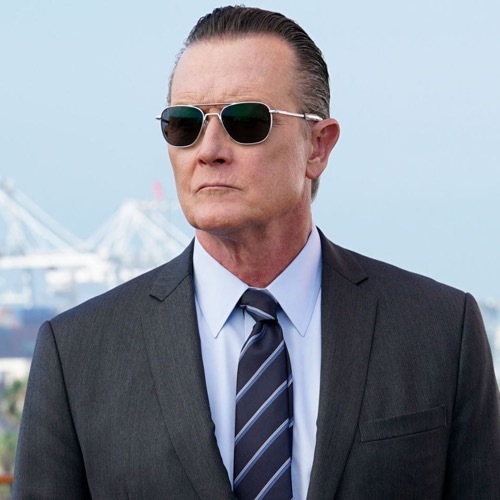 Cabe has a plan. He goes into the trailer to talk to the hacker who calls him the B Team. Cabe knocks him out. Cabe leaves the trailer. Toby splashes cold water on him to make him come to. The hacker wakes. Toby pretends the hacker was successful so he will talk. He confesses his plan. The neighbor comes back over to see flashes and sirens going. The hacker falls out of the trailer tied to a chair. Cabe tells Toby to take care of her while he deals with the hacker. Walt and Paige finally track down the fob. A rat grabs it and runs. They chase him. The rat falls into a drain and heads down a river. They all head to the local treatment facility plant. Meanwhile, Cabe is showing the hacker all of Happy’s tools. Toby wants to talk to him. They come up with another plan. They tell him that they plan on exposing him to radioactivity. They won’t get caught. The hacker finally talks. They need to stop the satellite from blowing up a power plant. Sly tries to catch the fob with a bucket while the others cheer him on. He falls into the water and goes under. He pops up. Walt can’t stop the laser form firing but he can change its coordinates so no-one gets hurt. They all duck. It fires and everyone is safe. Back at the warehouse, the team says their goodbyes to MI6. Walt has 1 question for her – he noticed the satellite didn’t contain any British codes or markings. She smiles and leaves. Paige knew she was right, there was something fishy about her. Walt tells her not to worry. He programmed the satellite to float up into space. It doesn’t belong to anyone now. Paige kisses him. Happy tries to talk to Cabe. He has given up on therapy. She is worried about him. He agrees he will try not to shut them out. Florence their new neighbor stops by again. She wants to come up with some ground rules so that they are all happy. The team considers what she is saying and finally agrees to be considerate. Paige reveals herself to Walt without all of her beauty products. He doesn’t see any difference. She is beautiful. She kisses him.